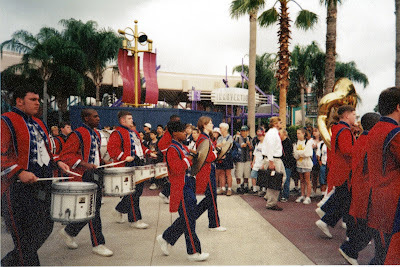 In 1999 my high school had the opportunity to be part of the Magic Music Days at Disney. I am one of the drummers farthest from the camera, I played the tenors, quads or whatever your local drumline calls them. If you can't tell we are marching through Future World at Epcot. Our route took us from behind The Land and ending behind Horizons. There was lots of renovation going on at the time fixing up Innoventions. Horizons was freshly decommissioned and there were ride vehicles behind the building, if I could have only gotten one of them under our bus. Pretty funny - I recently asked my mom to find the my pictures from when I did the Magic Music days - back in '97. 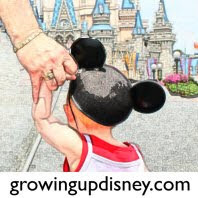 We were part of the Spectro Magic Parade.. good times! 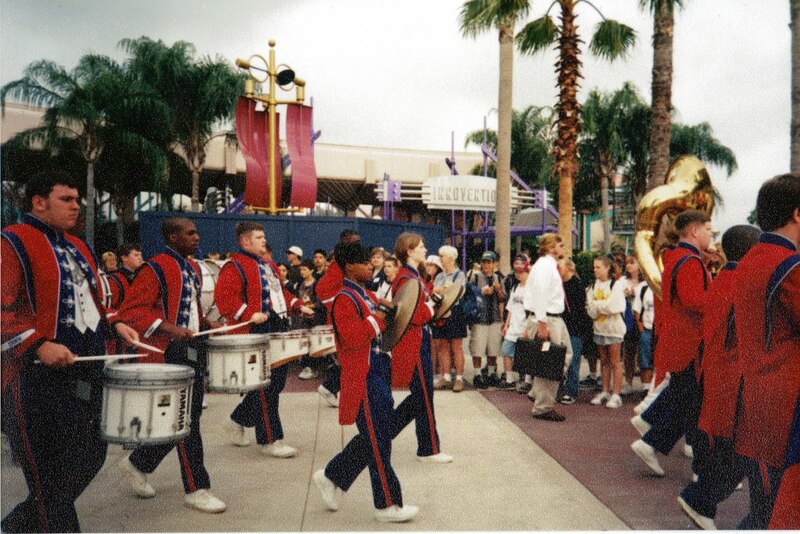 oh my gosh, I marched with our band in EPCOT too! we did it in april of 2000. even though it was a blisteringly hot april day in wool uniforms, it was fantastic!! woolyester uniforms of anguish & desolation is what I called them. I was hot enough the day we were there that the band director let us forgo our hats.